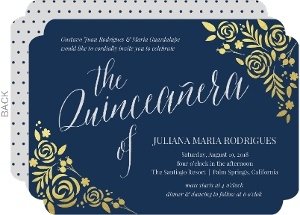 Quinceañeras are among the most varied events we see from here. 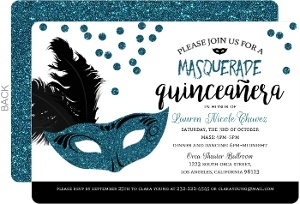 Anywhere from gigantic galas with ballroom dancing in a huge venue, or just a paint party with a few friends, and anything in between. 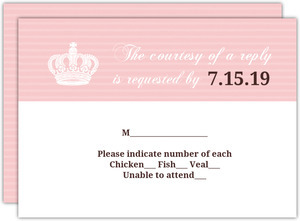 We like the variation, it gives us ideas. 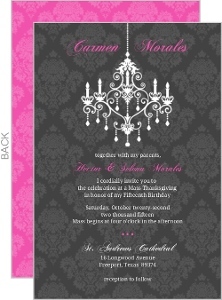 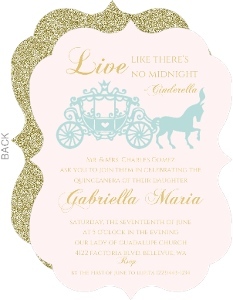 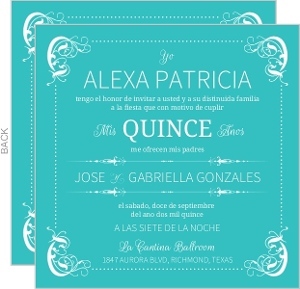 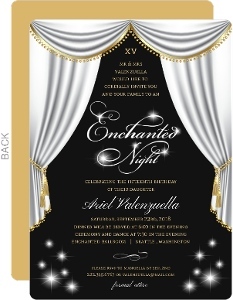 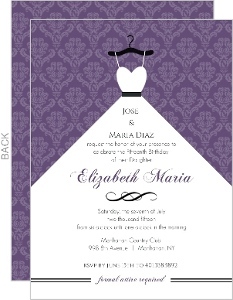 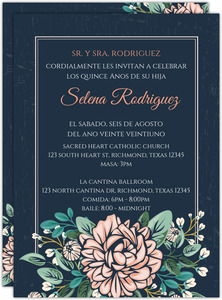 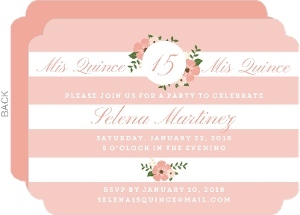 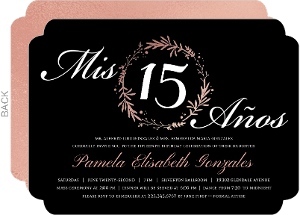 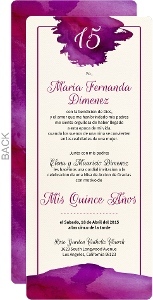 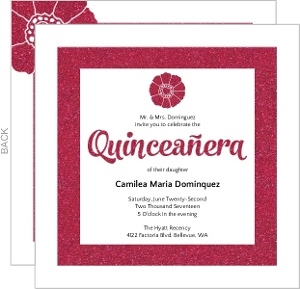 And in turn, our quinceañera invites may give you some inspiration. 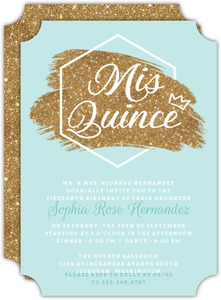 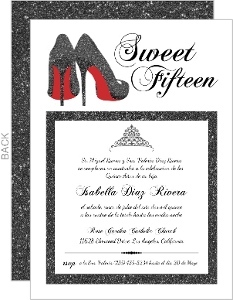 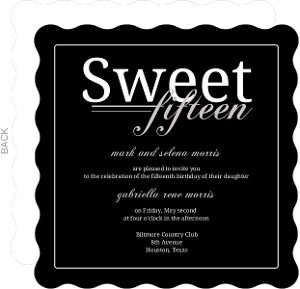 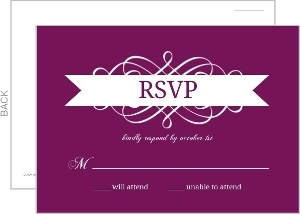 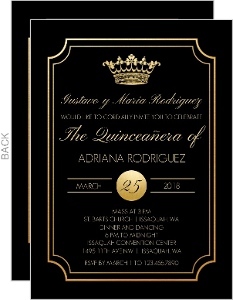 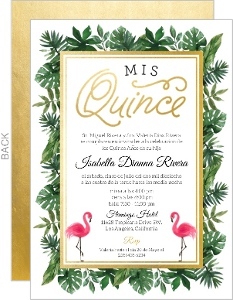 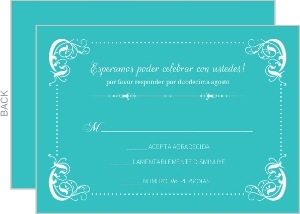 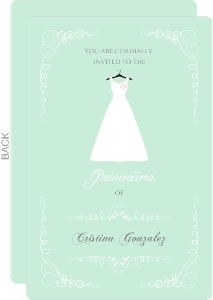 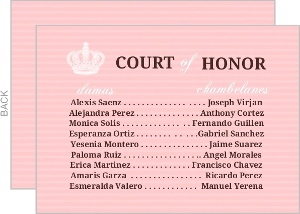 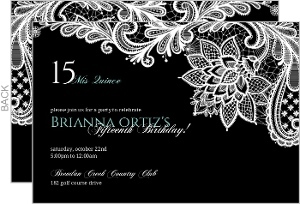 So look around, find a quince invite you like, and personalize it as you want it.